Jordy Clasie’s situation is complicated, and increasingly so. On Sunday he reacted badly when Giovanni van Bronckhorst took him offer against Heracles with fifteen minutes to go, and his season hasn’t gone the way either he or Feyenoord hoped. The same can be said for Southampton. The last thing the Saints wanted was Clasie having another mediocre season and failing to convince Feyenoord, and perhaps even another Dutch club, to sign the player permanently this summer. Van Bronckhorst won’t be Feyenoord manager next season, it’s already been announced that Jaap Stam is taking over. 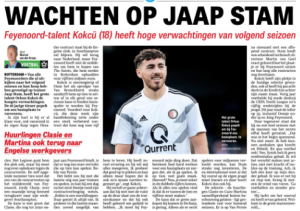 Young Feyenoord No.10 Orkun Kokcü is determined, De Telegraaf report, to secure himself a place in the first team under Stam. Kokcü, just 18 years of age, is said to know that one of his ‘midfield competitors’, Clasie, will ‘formally return’ to Southampton in a month. 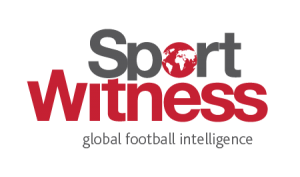 It’s stated that’s where Clasie will stay, at least from a Feyenoord perspective, because the Eredivisie club don’t have the funds to make his move permanent and don’t seem to have the appetite to make a big financial effort. For Clasie and Southampton it’s a difficult situation. 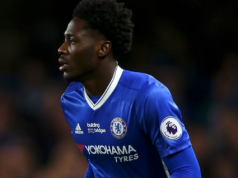 He only has a year left on his contract, so another season long loan would see the Premier League club miss out on a transfer fee.